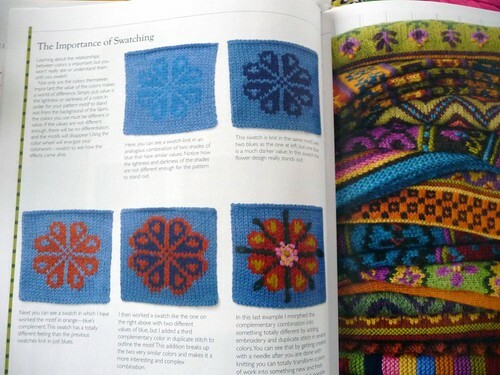 She’s also not afraid to combine crafty techniques (swoon- a woman after my own heart)– and throughout the book, illustrates ways to combine surface embroidery with fairisle knitting to create stunning effects that even advanced beginners can achieve! Plus, Kristin gives you information on how to be your own designer. 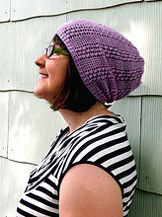 The book comes with a glossary of colorwork stitch patterns, and each project gives you instructions on which designs you can pick and substitute easily in the project. 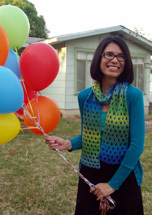 She even goes so far as to do the math for you–ie, if you have 60 stitches in which to work, she’ll lay out the multiples you can use (2, 4, 5, 6, 10, 12, 20, etc), to correspond with the glossary of color charts that is also set up by number of stitch repeats. Grand!! I decided that I wanted to make a project from the book for my review, because as you may know, I’m not a terrific knitter. 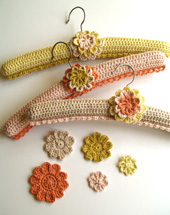 I like to knit, but I hardly have the time for it (and if I get too good at it, I might start to mix it in to crochet designs!). 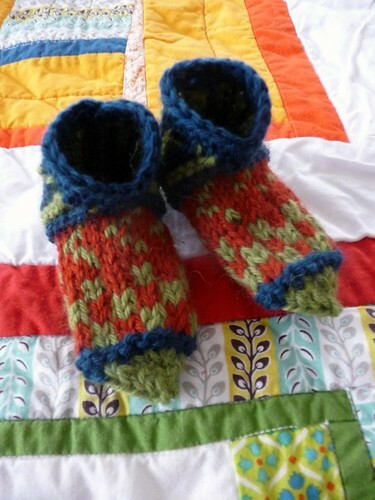 There were many doable projects in the book that didn’t seem like a huge time investment- such as mittens, hats, socks, and pillows. A lot of the items are for cold-weather wear (naturally), so I settled on something small and cute for instant gratification. I picked a set of slippers from the Family Slippers, and I started with the infant size, figuring it would be good practice in case I decide to make the larger sizes. They booties are adorable, and all told, took me about 5 hours to knit (I made some silly mistakes- I’m still learning!). 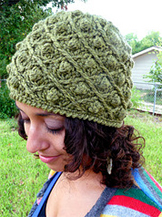 Since I happened to have some of her lovely Julia yarn on hand, I went ahead and used it. 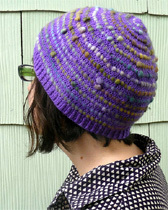 As I’ve said, the colors and tones are just amazing, and the bit of alpaca makes the yarn luxurious to work with . 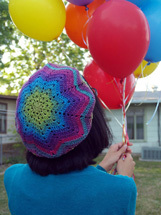 All of the designs in the book are made with Julia yarn, and when you think about it, that’s kind of great because once you get gauge, you can jump into all of the projects. Of course, any worsted weight yarn will do–and that combined with the colorwork aspect makes this an excellent book for stash-busting. 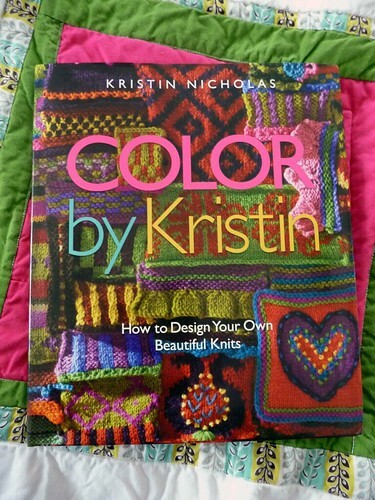 If you’d like to be entered to win a free copy of Color by Kristin , leave a comment here by Tuesday at 12 noon central time. 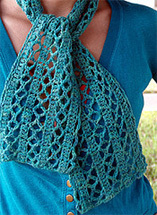 Please throw out some ideas of cute beginner/advanced beginner knitting projects for me (as in, specific patterns you’ve worked and enjoyed) in your comments, or tell me how long you’ve been knitting and what got you started. Good luck! 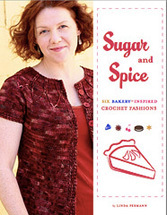 Hello there - I've just recently ordered this book from Amazon and cannot wait to get my hands on it. 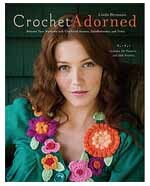 But I did want to let you know that I do tapestry crochet and ordered this book to try the designs in the tapestry crochet format. 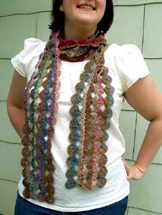 I've been using Barbara Walker's Mosaic Knitting book for patterns using the tapestry crochet method I learned from Carol Ventura -- so am excited to try it out wiht Kristin's designs. 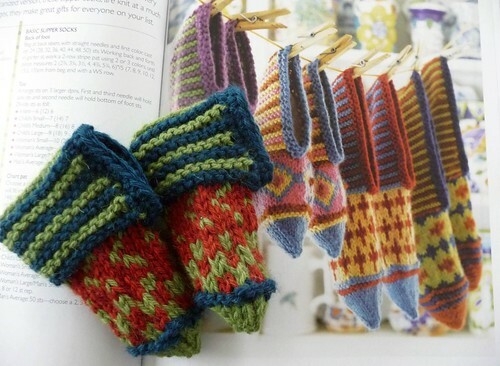 I like the Fetching gloves from Knitty. 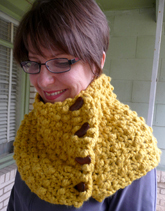 I learned to knit at age 6 and it has been a lifelong passion. I just learned that Kristin lives just a few towns over from me in western massachusetts! Small world! 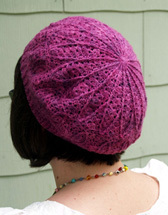 I've been happily knitting for 50 years. I was taught by my mother and my first project was a drawstring bag. and then it was on to mittens(we had a large family 8 kids and always needed mittens)I love small projects for beginners like baby caps(they can always be given away if you have no babies in the family) or if I can sit with the person learning- socks. 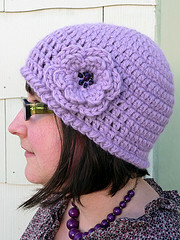 I know it sounds hard but once the stitches are on the needles its all plain knitting round and round. make it a tube sock in wortsed weight toe up and by the time you its long enough for the foot you are ready to teach a new stitch to make the ribbed cuff. and if it is as cold where you are as it is here nice heavy socks will be appreciated. 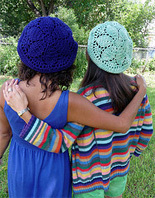 Next, I like to think of making the capelet in colors inspired by Kristin's colorwork. 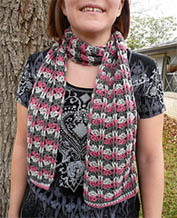 I learned to knit from my Mother and my Aunt at seven years and have been knitting about thirty years. 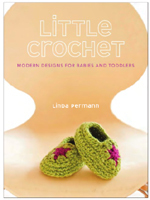 Teaching children to knit has been my passion for nine years & counting :) The amazing books being published by such talented fiber artists is very encouraging !! !